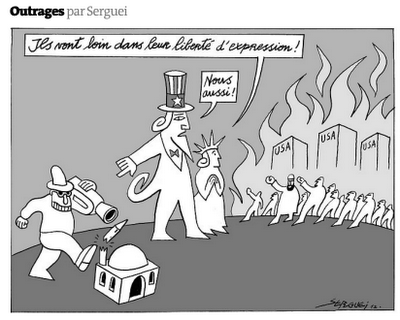 • Lady Liberty: Those people are taking freedom of speech to a pretty extreme point! • Uncle Sam: So are we! Reader Jessy Jay asks us for a link to his Criminal Justice Degree resource. 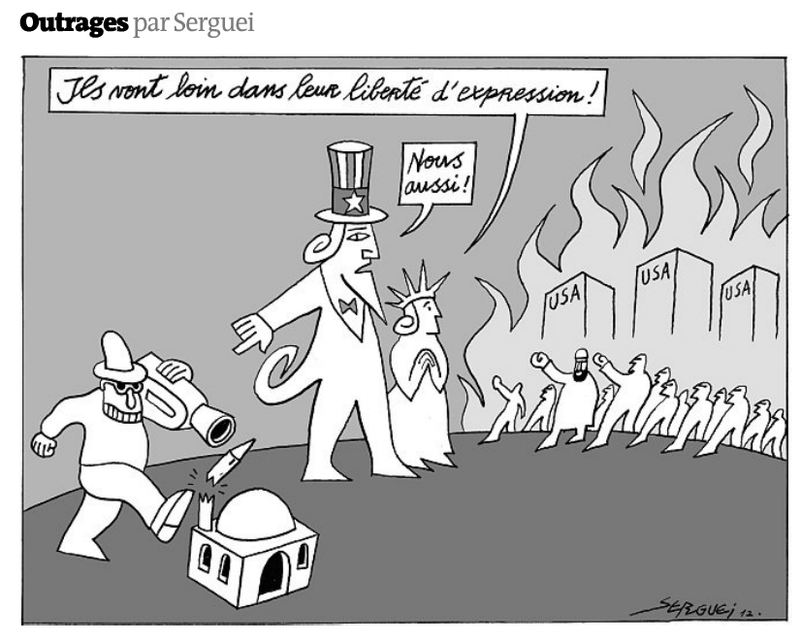 The Le Monde reader who regularly demonstrates his haughtiness towards the United States and its people — among other ways by using the catty expression United Stateser — has written a diatribe against Mitt Romney, predicting that "the Mormon billionaire" promises to bring about a combination of Ronald Reagan's Reaganomics and George W Bush's policies and, indeed, that with his "spectacle of sorcerer's apprentices", he will turn out to be even worse than the worst president of all time (Dubya, natch). And so, to no one's surprise, Le Monde prints the letter — the fourth by André Fromon in less than a month! In her review of this work (“Uncovering a great leap into an abyss,” Sept. 6), Didi Kirsten Tatlow says that, compared with Hitler’s Holocaust or Stalin’s gulag, Mao Zedong’s organized famine has until now been one of the more or less forgotten crimes against humanity. I should add that the Chinese famine has been the biggest one in the history of mankind. This was the result of the second endeavor of a Stalinist party to enslave the peasant majority of a huge country to accelerate its industrialization. Karl Marx remarked that important historical events tend to be repeated: What happened the first time as a tragedy, in the second edition comes back as a farce. During the 20th century we have learned that the repetition of a tragedy may surpass all we can imagine. The enforced collectivization in Russia, especially in Ukraine, claimed about six million victims. The Chinese re-enactment of this tragedy surpassed the Russian death toll at least five times.